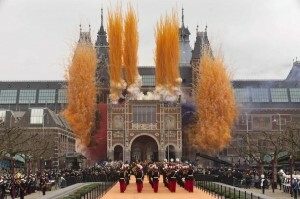 Fireworks and fanfare accompanied Dutch Queen Beatrix as she on Saturday reopened Amsterdam’s Rijksmuseum treasure trove of Golden Age masterpieces after a 10-year renovation. The reopening is Beatrix’s last major public appearance before she abdicates in favour of her son Willem-Alexander on April 30, and performers from around the Netherlands and its overseas territories took part in the ceremony. After the queen turned a key in a symbolic lock on a vast orange carpet at midday, a long queue immediately formed of people wanting to visit the world-famous museum, open for free until midnight. The museum, built in 1885 for 200,000 annual visitors, now hopes to double the one million people that it was hosting prior to the renovation. 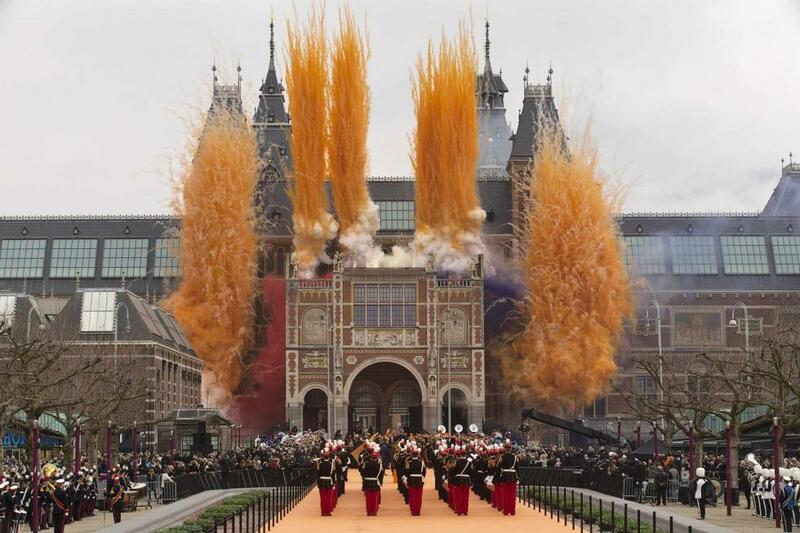 After the ceremony, watched by thousands and accompanied by huge puffs of red, white, blue and orange smoke, Queen Beatrix, 75, was given a tour of the renewed museum by director Wim Pijbes. The 375-million euro (480-million dollar) revamp, masterminded by Spanish architects Cruz y Ortiz, has run over time and over budget but has been hailed by observers. Architects and artisans have restored much of the original styling of the Gothic-Renaissance building, designed by Pierre Cuypers, but with extensive modern touches. “It was very impressive, we waited two hours but it was worth it,” said visiting Swedish student Kuba Koltowski. he museum covers 800 years of Dutch history through 8,000 objects, distributed through 80 rooms. A one mile (1.5-kilometre) walk around the galleries will take you “from the Middle Ages to Mondrian,” the Dutch painter and one of the pioneers of the De Stijl movement in the first half of the 20th century. But at the heart of the museum’s physical and artistic identity is Rembrandt’s vast masterpiece of militia intimidation, The Night Watch. The painting, flanked by works by the likes of Johannes Vermeer and Frans Hals, symbolises the Golden Age, roughly spanning the 17th century, when the Dutch dominated much of world trade and, as a result, art.